We are the proud distributor in Hong Kong, Macau, and China of Delong's Wine Discovery Tools. 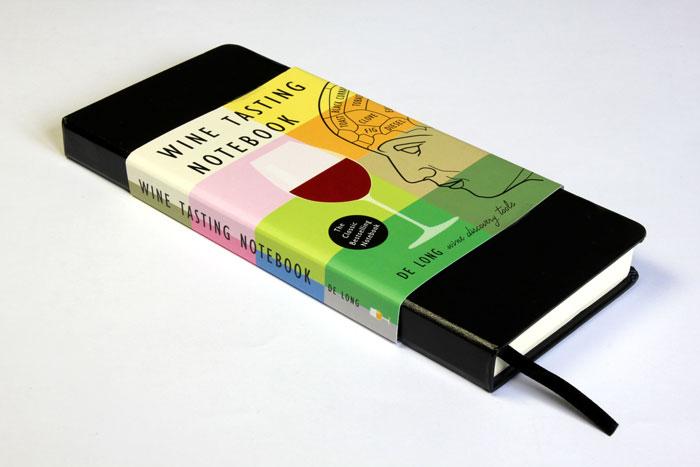 They are neat wine accessories to enhance the appreciation of wine. Excellent learning tools as well as delightful gifts for special occasions. All items are available to purchase online. A concise and easy way for everyone to develop their wine tasting skills. ⇒ Wine Tasting Forms put the repetitive parts of a note in a convenient multiple choice for pros as well as acting as training wheels for beginners. ⇒ Wine Tasting Terms helps you build your wine tasting vocabulary with quick explanations of where certain flavours come from. It includes practical details on identifying wine faults. ⇒ "How to Take a Wine Tasting Note" leaflet walks you through the fundamentals of wine tasting. - Elegant black cover with gold embossing slips easily into a coat pocket or purse. 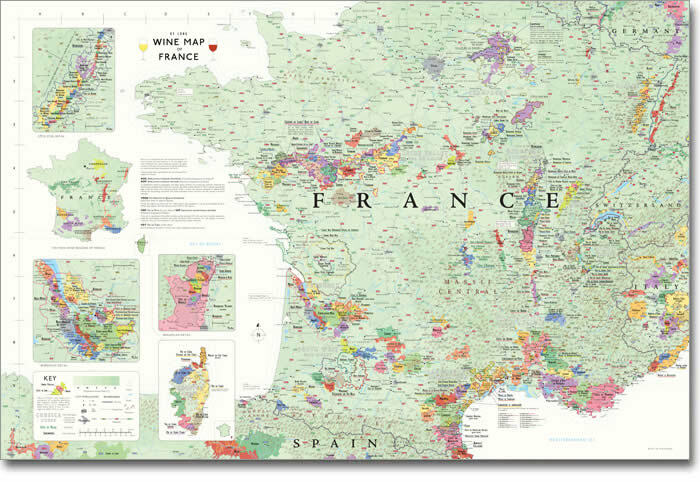 It’s impossible to find a more detailed, technically accurate or better looking Wine Map of France. ⇒ In Context – includes adjacent regions in Germany, Switzerland, Italy and Spain. ⇒ Detailed – includes detail maps of Bordeaux, Côte d’Or and Beaujolais. ⇒ Beautiful – 24 by 36 inches, expertly printed on heavyweight acid-free archival paper. Suitable for framing. A wine reference disguised as a fine art print. 184 of the world’s favourite grapes organised by body and acidity. 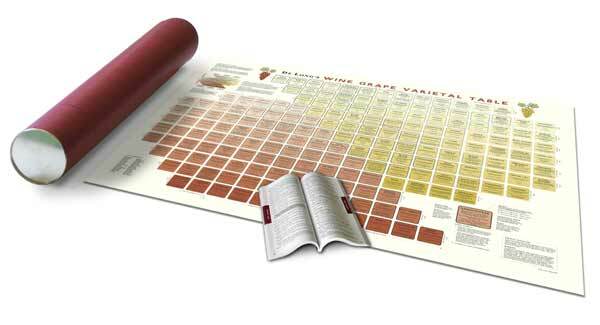 ⇒ Clearly see the “big picture” of wine grape varieties and how they relate to one another. ⇒ The accompanying reference book, The Wine and Grape Indexes, is the most comprehensive index available of the grape varieties used in worldwide wine appellations. ⇒ The Table and Index Book are packaged in an attractive and reusable gift tube. - The Wine and Grape Indexes. 10.2cm x20.3 cm, 88 pages, perfect bound.